10 Inspirational Quotes By Bhimsen Joshi, The Mellifluous Indian Vocalist That Will Tug The Strings Of Your Heart. Bhimsen Joshi was an Indian vocalist who is still remembered for his renditions of khayal songs and even devotional songs. After bagging his first singing contract with HMV at the age of 19, there was no looking back for the maestro. He sang Hindi and Kannada devotional songs initially. Riding on their success, Bhimsen dabbled with classical songs which were equally well received by critics and audiences alike. As his popularity increased, he received numerous offers for stage performances. His schedule became such jam packed that he travelled back to back from Bombay to Belgaum only to end up in Pune the next day. Recounting one such incident a close acquaintance recalls, "Sometimes as I sat at my table in the office, the phone would ring 'Hello Govindrao! 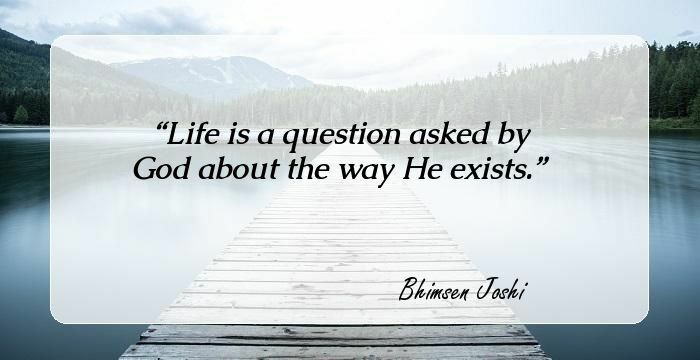 This is Bhimsen. I am coming to Bombay by the morning plane. I have to go to Calcutta by the afternoon flight, please book my seat.'" There will be times when Bhimsen would drop by at his office unannounced only to inform that he was flying out of the city as he has another show there. Apparently Bhimsen spent so much of his time air-borne that the flying officials of Air India gave him the nickname 'flying musician'. Here are a few motivational quotes by the legendary singer himself. 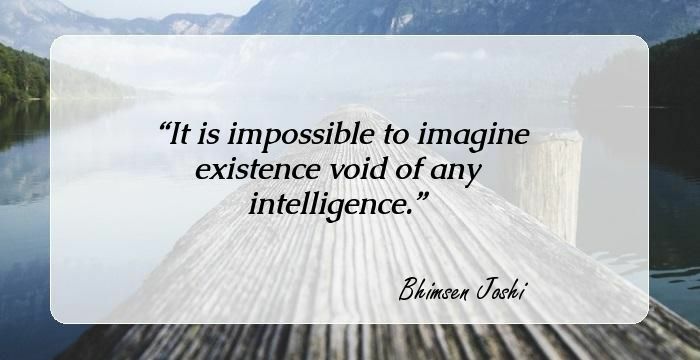 It is impossible to imagine existence void of any intelligence. 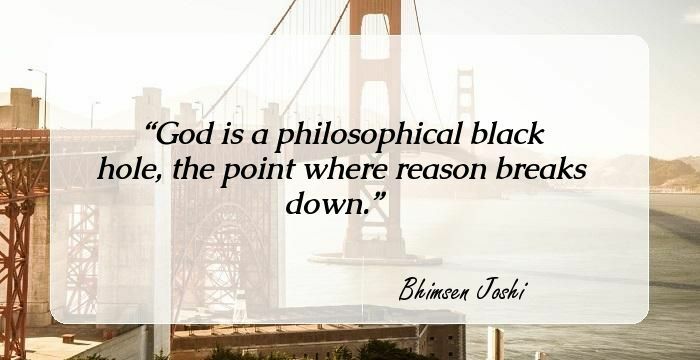 God is a philosophical black hole, the point where reason breaks down. The world is the court of God. The criminal is God; the punisher is God; man serves the sentence. The most fundamental tragedy of my life is that the ones who I see do not exist and the one who exists I do not see. It is profoundly tragic that I am a slave, but it is profoundly joyous that I am Gods slave, not that of a devil.